Relatively few spider species prevalent in the Midwest make their way into human structures, and those that do are typically not considered to be dangerous. The families most likely to inhabit homes or businesses in the St. Louis area are The House Spider and The Cellar Spider (also referred to as “daddy-long-legs”). While these varieties can create the dusty webs known as cobwebs, they normally do not bite. In addition, they can actually be beneficial to your home by feeding on insects. 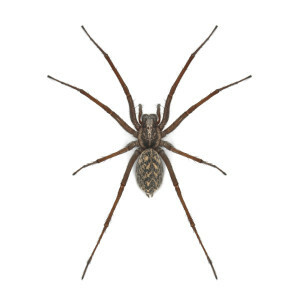 Some species however, such as the Brown Recluse and Black Widow, can be dangerous, and their bites require immediate medical attention. An increase in spiders usually occurs with greater numbers of other insects in your home or business, so good sanitation practices not only reduce the number of insects, they can also diminish the spider count. If the number of spiders in your home or business increases, or you spot a dangerous species, it’s unwise to attempt to handle the problem yourself. Professional services are the best ways to deal with spider infestations. Despite being one of the most requested services, spider elimination practices are by and large misunderstood. The treatment typically used for crawling insects will not grant success for spiders. Their physical characteristics and behavioral traits create the need for more sophisticated and comprehensive strategies. We use several methods to address spider issues, including exterior power sprays, monitor traps for cracks and crevices, as well as dust treatments. Having said that, we are forthcoming about our spider elimination programs, and do not necessarily recommend excessive treatments. Each situation is different, and for some, a less aggressive, less toxic approach can not only result in success, but also create value for the customer.